A technical softshell gilet from DBlade! Possibly one of the best quality and best value gilet bodywarmers you will every buy. 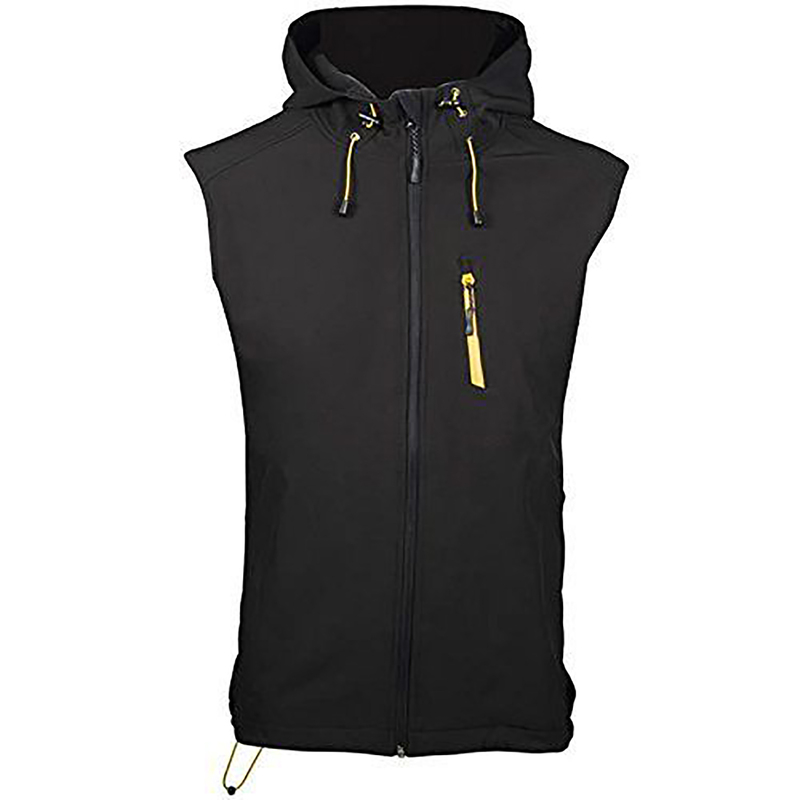 The technical qualities of this hooded gilet bodywarmer for a snip of the normal price are outstanding. This softshell hooded gilet bodywarmer is crafted in a strong padded stretch polyester warming fabric with water and wind resistance materials. Designed with a hood, drawstring and a full zip fastening and a zipped pocked on chest to secure valuables.